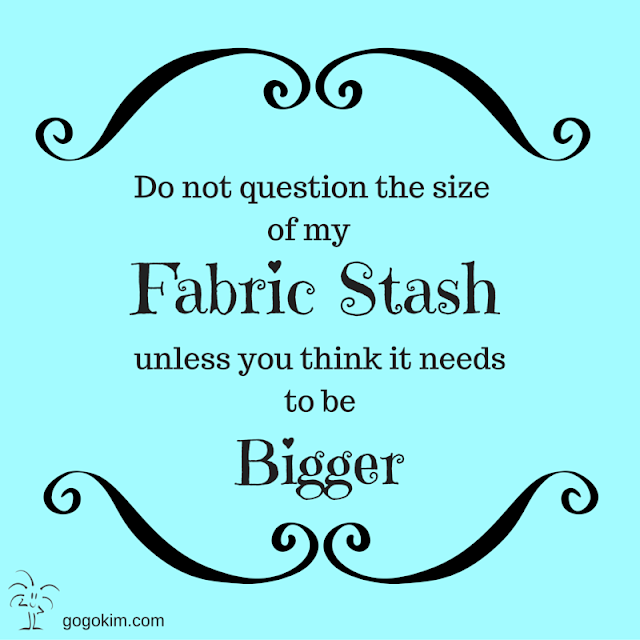 How Big Is Your Fabric Stash? "How much fabric do you OWN?" or "How big is your fabric stash?" The reality is that I have no clue where to even figure out how much fabric is contained in the walls of my home. There is a lot on the shelves, in bins and drawers. There is some on the walls and some on the floor in the foyer ( my cooler weather cutting spot ( I still have not moved it from Winter that ended a week ago). I have it just about everywhere and I love it all! I will keep adding to my stash as long as the fantastic designers keep designing and the wonderful fabric companies keep the glorious cotton goodness in shops where I can find it! Right now my stash is relatively small...I started quilting about 18 months ago and I had nothing when I started. After falling in love with quilting I signed up for a 'Build your stash' monthly shipment of fat quarters and that's probably the biggest component of my stash. I visit Hobby Lobby when I can and usually pick up a couple of yards of whatever they have on clearance. Of course I'm always trolling online in search of fabulous sales from FQS, MSQC and 5bucksayard. Thank you for this!!! 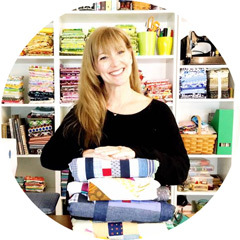 I have been collecting fabric since I was a teen-ager (and I'm now 61!! ), and the new fabric lines are constantly thrilling! I get that remark ALL.THE.TIME. I like your reply and am going to memorize it so maybe I can stop feeling defensive. I LOVE all my fabric, too, and adore going into my sewing room and finding the perfect combination of fabrics. I also adore receiving my fabric packages in the mail - thrillllling!!! So- yeah -this is perfect timing!! My fabric stash is as big as my house will allow. Fabric is part of my creative outlet. There can't be too much, but there can be too little. my usual reply to people commenting on my abundance of fabric is -- it isn't hurting you and my bills are paid. I do have a large selection of fabrics but I love them all.